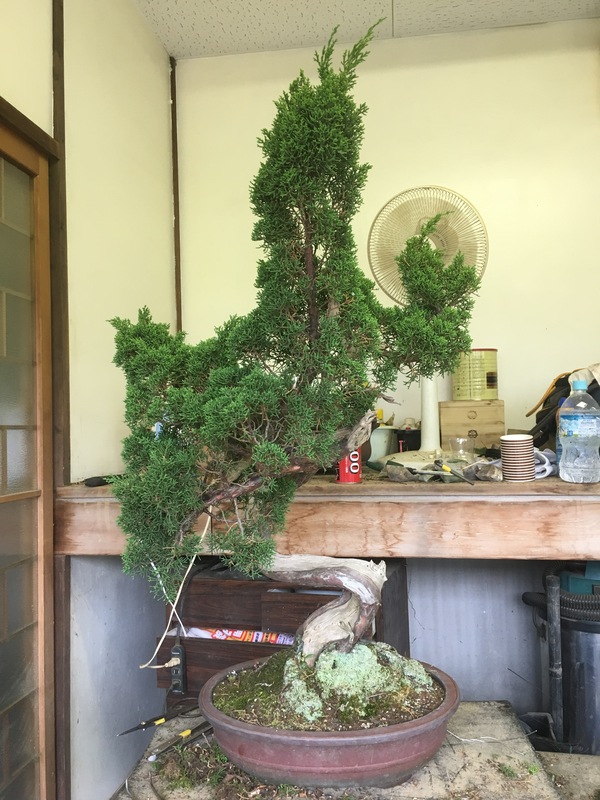 A while back three collected tosho which had been grafted with itogawa shimpaku foliage came to the nursery. They came from a nursery not too far from here but, they had been commission grafted by Iura-San some time ago. They were sold as a group, at one price. They were only bought to sell as business tree’s to buy, style and sell quickly. 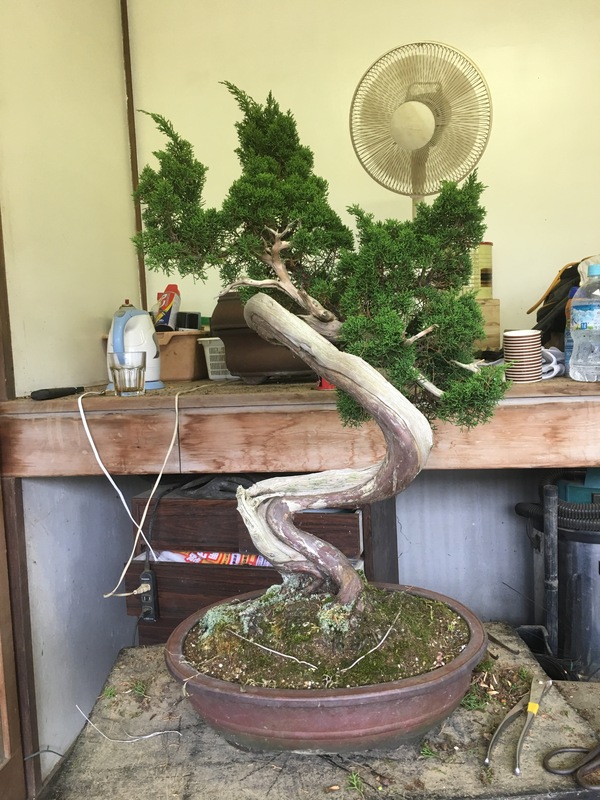 All three tree’s were raw and it was a first styling they had since being grafted. Two of the tree’s were chunky and were pretty much just a case of bring branches down and make pads. I did these first but, haven’t posted about them. The third tree was of the least value being a more skinny bunjin. As you can see from the photo’s the material has some interest but, is rather boring especially in the middle section.